SIO-2® COLORPLUS is the coloured natural self-hardening clay. No firing is necessary. After drying, it achieves hardness, strength and solidity of fired ceramics ("cold ceramics”). 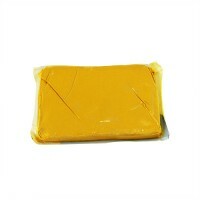 It is available in 6 bright colours and 3 sizes (75 g, 500 g and 1.5 kg). The colours can be mixed; therefore unlimited shades of colour can be easily obtained. Suitable for children (from 3 years old), but especially, COLORPLUS clay is very adequate material for development of creative and perception skills (plastic expression). 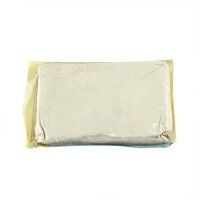 It is an unique material, ideal for handicrafts and professional creative arts, because it can be used as a substitute of classic ceramics ("cold ceramics"). It is also suitable material for in-house decoration ("home déco"). Compared to the other air-drying clays, COLORPLUS is composed of natural minerals and clays with plasticity noticeable at touch, but especially, recognizable by the lack of smell. As opposed to the other commercial clays, COLORPLUS can be thrown on a potter’s wheel and guarantees a long-lasting and solid result after drying (“cold ceramics"). It is easily cleaned with water and a cloth. 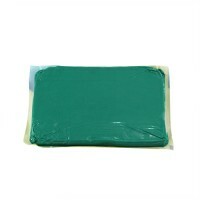 Any rest of the product is easily removed from all surfaces and furniture with a humid cloth. Once dry, the clay can be painted or varnished with any type of paint or varnish. It can be also polished, carved or drilled. The product is conforms to the European regulation EN-71 and to USA regulation (seal AP non toxic product). Color Plus Air Dry Clay SIO-2® COLORPLUS is the coloured natural self-hardening clay. No firing is necessary. After drying, it achieves hardness, strength and solidity of fired ceramics ("cold ceramics”). 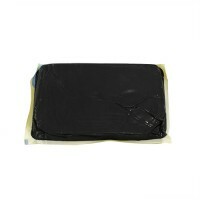 It is available in 6 bright colours and 3 sizes (75 g, 500 g and 1.5 kg). The colours can be mixed; therefore unlimited shades of colour can be easily obtained. Suitable for children ..